Dr. Humphrey is a board-certified orthopaedic shoulder specialist, and is a member of the American Shoulder and Elbow Surgeons. He founded the Humphrey Shoulder Clinic in Boise, ID in 2006. 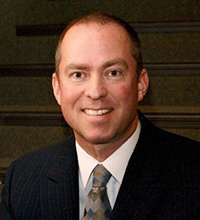 He is the director of the Idaho Shoulder Education and Research Foundation shoulder fellowship. Dr. Humphrey has written multiple articles on shoulder topics, and frequently lectures at instructional courses. He holds three US patents for medical devices used in the treatment of shoulder disorders.